The domestic chicken is a type of fowl. This bird is one of the most common domesticated animal today in the world. Chicken is so popular that there are more of them on our planet then humans. Chicken population numbers more than 19 billion. Chickens need a balanced diet for a long and productive life. The best way to offer this is to feed them commercial laying hen Organic Pellets or crumbles. These are made with all of the nutrients one chicken food needs to produce normal eggs and stay fit. There is probably no other way you can provide proteins, minerals and vitamins in such a way like with pellets and crumble food. That does not mean your chickens cannot live with other food types, but in this way you make sure they get exactly what they need. You need to know what do chickens eat if you keep laying hens, and want to maximise your egg production without exhausting your chickens. Pellets will help them stay strong and productive. Pellets should make about 80% of your chickens diet and make sure they have access to them all day. Chickens spend a lot off energy on laying eggs, and can get weak or even sick if the right food is not available. It can take about 24 – 25 hours for one egg to get formed, and this is hard work for a working hen, even while at sleep the hens are still silently working. It is important to feed hens before they go to bed, even at night the egg is forming inside the hens body, so if they did not eat before bed it will take more time for the eggs to form. Chickens cannot get overfed and will just stop eating when not hungry. Normal commercial Chicken Pellets are made to provide all it takes for a normal chicken life. But feeding your chickens a diverse diet will produce a healthier and more happy birds, they will in turn live longer lives then if you just offer pellets. It is recommended that you provide some extra calcium and grit. You can get small Oyster Shell pieces that can be introduced in the chicken diet to give a calcium boost. Grit (small rocks) are great to stimulate digestion and help the chickens when eating. If you keep free-range chickens then they will pick the stones by themself and there is no need to provide them extra. To keep your chickens happy and more healthier, special if you have laying hens, offer some greens and extra seed to the table. Vegetables and greens should be about 20% of the normal chickens diet. Offer lettuce, apples, cabbage, carrots, radish, corn and sunflower seed as extra with normal pellets. Free-ranging chickens are able to walk around and eat greens, occasional small insect and find other supplements that will diversify their food. If you can provide your chickens freedom to roam around they will be the happiest animals you can have, and their eggs will taste so much different. If you live in an area where there are lots of possible predators or have other reasons to keep chickens indoors please give them extra greens to supplement their diet. You can give your chicken table scraps from time to time, but do not go overboard. Table scraps are not going to harm them if provided in small quantities. Dairy products are not good for chickens, and they lack digestive enzymes to successful live on that kind of food. Stick to the plant based material if you want to give them table scraps. One way of providing some entertainment for your chickens is to give them lettuce or cabbage balls for them to pick on. Chickens will spend hours picking on those and it will keep them occupied. spreading some corn on the ground will give them something to snack on, and chickens love to walk around looking for them. Happier hens produce more healthier eggs. You need to spoil your chicken once in a while to give them long and productive lives. Offering treats will keep your chickens happy and occupied. Like we mentioned before feeding pellets should be the bulk of the chickens and hens diet. But just like humans, it feels boring to constantly eat the same thing over and over. Offering some seed and other treats can keep the hens feeling good. All of the treats mentioned above are to be given in small quantities. Cracked corn is hight in calories and can get your chickens fat fast. The best thing is to just trow in a small amount once in a while for the hens to snack on it, they love cracked corn and will die for it. Mealworms are great and will provide proteins, but feed them just a few times a week to diversify their diet. Sunflower is another good protein booster and can be offered in moderation, hens will love to pick on them (get shelled sunflower). Greens and fruit can be given every day, keep it about 20% of the birds daily diet. All greens and fruit are great mineral and vitamin source for birds, it will keep them healthy and strong for a long time, and your eggs will taste better. Tomato, potato, cabbage and other vegetables are all good for chickens. Providing fresh and clean water to your chickens is essential to their wellbeing, laying hens will need a lot of water to keep them hydrated. Get a good size water container so all of your birds can drink without fighting, or get multiple ones. Make sure you clean them so chicken poo does not accumulate inside. Chicken poo can transmit bacteria and if the birds drink that water they can get sick. In summer and hot weather fresh water will help chickens to stay cool and not dehydrate, in winter make sure that the water is not frozen and go replace them. I recommend that you use the heater or a lamp in winter to keep your hens warm, you can leave the water under the heater to prevent it from freezing. What equipment do you need to start keeping chickens? 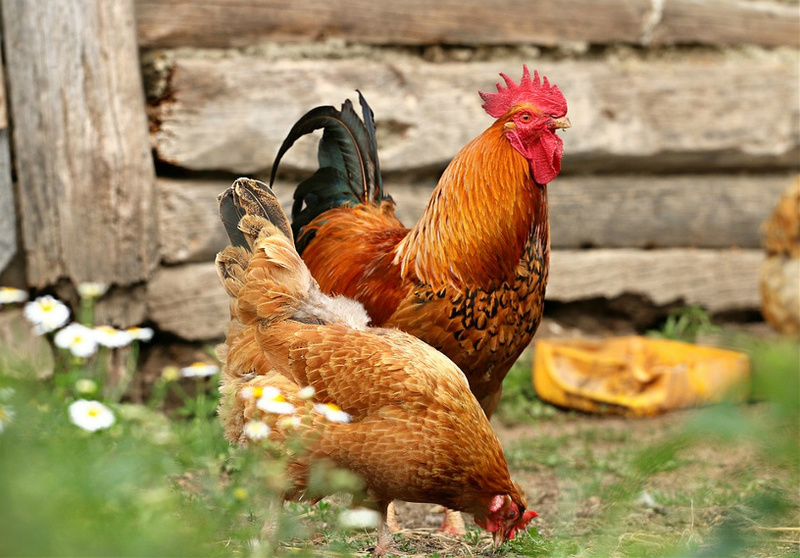 A Chicken coop or hen house can be found for affordable prices and are build as homes where female egg Laying Hens are kept. Inside there are several nest boxes where the chickens go to lay eggs. Later you go back and pick the eggs up from the boxes. You can place some straw or grass inside the boxes to make it better for the hens when sitting on them. There are some small, medium and larger chicken coops that ever owner can get depending on the number of hens he planes to keep. 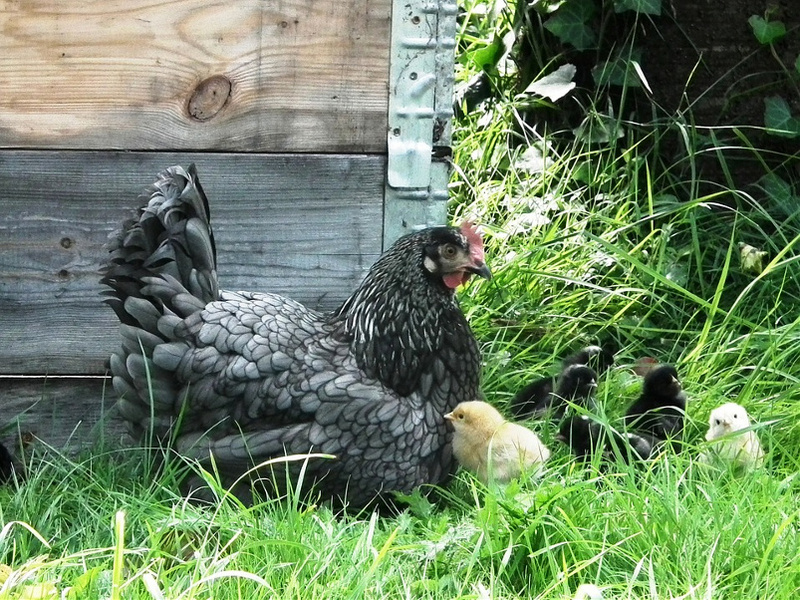 If you have a brooding hen you will soon have small chicks running around. Some people let the hen take care and raise the chicks. If your chickens are range-free this is the best option. When this is not possible, or if you just bought some new chickens and hen is not around, you need to know how to take care of them. First day or two is when the chicks are the most sensitive, they will start eating about 24 hours after they hatch. Get some commercial Chick Starter Crumbles and offer it 24 hours a day along with fresh water. Dont feed them adult chicken feed as this is not optimal for them and can have to much or to little nutrients for their growth. Some recommend medicated feed to prevent some diseases that can occur in birds. I do not recommend this unless you start seeing some symptoms that cam prompt you to start. Even then you need to consult a proper veterinarian or you can be treating them for the wrong thing. Chick will grow fast and will be on the chick feed for about 16-17 weeks, after that they reach adult size and can be feed regular pellets. Provide your chicks with a warm and secure enviroment. Most people use brooder or heated boxes that keep the chicks warm and secured from wandering around. If you can provide the chicks with some dirt and grass to walk on. Even small chicks can get bored easily and will start harassing each other if there is no entertainment. Placing some grass, hay or dirt will keep them entertained. Exposing them to grass and dirt provides one more benefit that is essential to normal chick development. Like humans all animals need to get accustomed to small microbes and bacteria the this world is home to, getting them exposed to grass and dirt do just that, and gets their immune system going. If the hens were taking care of the little babies in te backyard, they would have time to explore and peck on the dirt, providing just that you stimulate their brains and growth. When the chicks grow a little you ca place them outside in the fenced area where they can walk around and have fun.